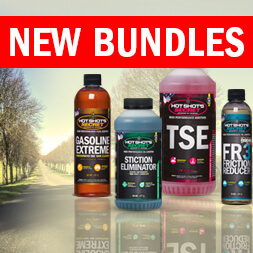 Purchase 1 eligible 16 oz (squeeze) bottle of EDT (Everyday Diesel Treatment) at a retailer or dealer location. Limit 2 submissions per name, per household. Refund may not exceed $10.00. Online purchase(s) are not valid for this promotion. We apologize for any inconvenience. Completely fill out the form below, alternatively email the requested information (Name, Address and a photo of your original, dated, store identified receipt showing purchase of 16oz EDT) to rebate@hotshotsecret.com or mail the requested information to Numbers Up, 178 W Schrock Rd, Suite C, Westerville, OH 43081. Due to the large influx of rebate submissions, please allow 4-6 weeks for your rebate reimbursement to be mailed to you. Reimbursement will be in the form of a check. We are not responsible for incorrect addresses we receive, nor are we responsible for lost/damaged/stolen reimbursement checks. 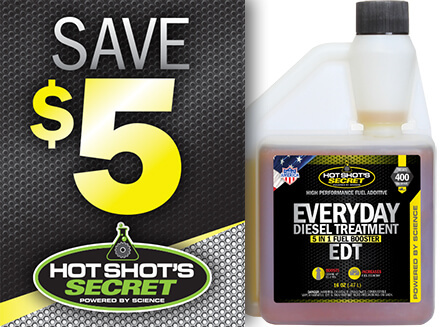 For any questions regarding the status of your rebate, please email rebate@hotshotsecret.com or call 1-614-915-3518. 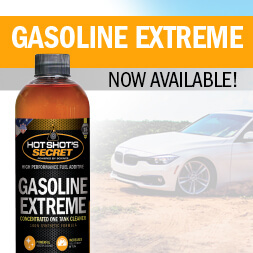 For help regarding the submission of your rebate, product availability or other questions regarding the use of the product, please email rebate@hotshotsecret.com or call 1-800-341-6516. For the status of your rebate payment please call 1-614-915-3518.